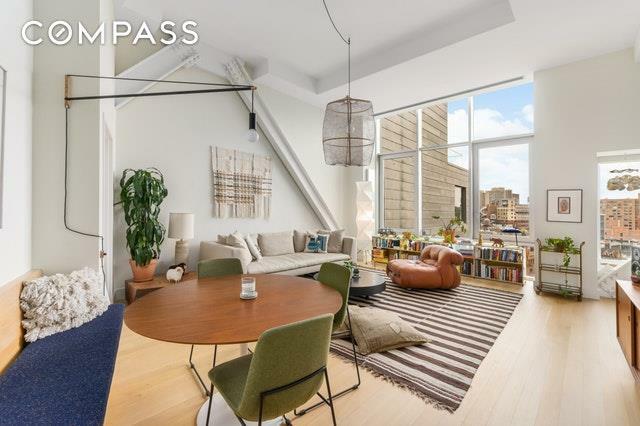 This radiant full floor residence presides over downtown Manhattan with sweeping views to the west and north. Floor-to-ceiling windows fill the two-bedroom home with abundant light and showcase its chic industrial design. Direct elevator access into this loft-like apartment welcomes you into a gracious foyer, featuring a full bathroom, closet, and LG washer/dryer. To the left of the foyer is the well-proportioned living/dining area with 13-foot ceilings and a wall of floor-to-ceiling windows displaying picturesque sunset views. 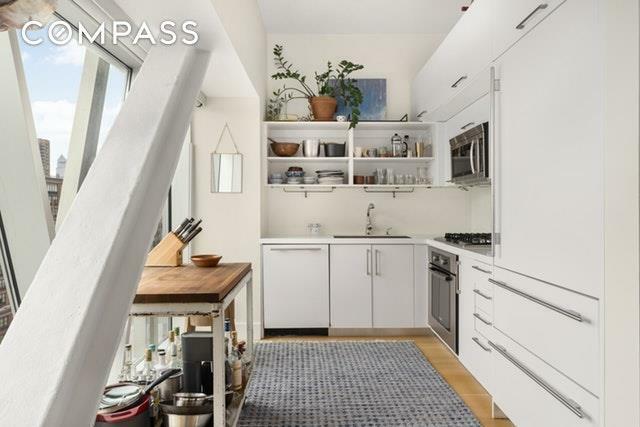 The open kitchen is resplendent with sleek white-lacquered cabinets and Corian countertops, a stainless steel Bosch appliance package, SubZero refrigerator, Grohe fixtures, and an Insinkerator garbage disposal. Adjacent to the kitchen is a west-facing second bedroom. Occupying its own private wing of the apartment is the 18 x 13' master suite with corner exposures east and north. Enjoy the sunrise and open city views from bed. The en-suite bathroom features floor-to-ceiling tiles, a double sink vanity, glass enclosed walk-in shower with four-faucet rainshower heads, Dornbracht fixtures, and a Toto Washlet toilet. This modern smart-home is complete with a dual-zone HVAC system, built-in speakers, and power shades throughout. 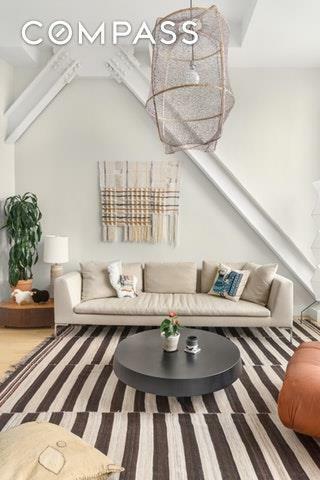 52 East 4th Street is a boutique condominium located on the cusp of vibrant Noho and East Village neighborhoods. 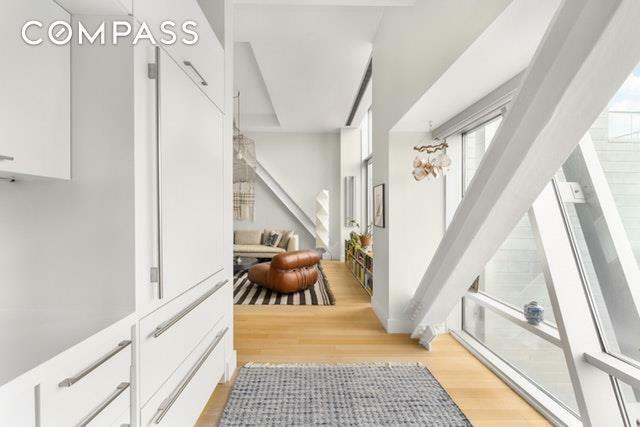 Designed by Robert Scarano with interiors by Andres Escobar, 52 East 4th Street is set back mid-block and accessed through a private, gated entry. The building offers a part-time doorman, on-site superintendent, private garage, common terraces, and heated pool with cabanas. The surrounding eclectic neighborhood is brimming with world-class restaurants, trendy boutiques, an unparalleled nightlife scene, art galleries, and multiple subway lines.